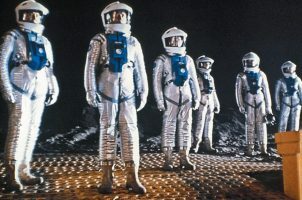 A special screening under the stars of Kubrick’s groundbreaking space travel film to mark the 50th anniversary of the moon landing. A four-million-year-old black monolith is discovered on the moon, and the government sends a team of scientists on a fact-finding mission while hiding the truth from the public. An epic cinematic classic.